You don't need to wait until your animal bite lawsuit settles. Get cash in your pocket within 24 hours with a pre-settlement legal funding from TownCenter Partners! A pre-settlement legal funding for animal bite lawsuits can enable the victim to provide for themselves and their families as they recuperate from their injuries. A legal funding is a transaction where you receive a portion of your legal settlement now – before any legal action is concluded. There is no cost to apply and the transaction is actually risk-free, because should the legal complaint be lost and there is no cash award, the legal funding does not have to be repaid. Filing a legal complaint if you have been bitten by an animal, usually a dog, is fair action to take especially if the animal's owner is not taking responsibility for their animal's actions and providing compensation to you for the medical bills and any other loss you may have suffered as a result; i.e. time off work. Don't let anyone minimize what happened or try to talk you out of what you need to do to make sure your adequately taken care of physically and financially. Interestingly, these types of complaints are not uncommon. 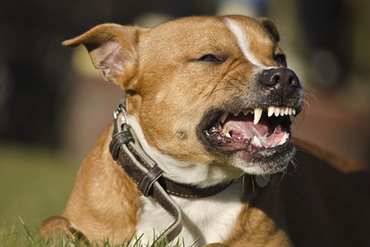 Out of all the homeowner's insurance claims, roughly 33% are due to animal and dog bites, and it isn't uncommon for these to end up in lawsuits. The good news is that there are personal injury attorneys who focus on these types of cases, and there is plenty of precedent for them to study to help create a winning case. In addition, the vast majority of these complaints are resolved by the insurance companies before ever reaching an official lawsuit or going to court. However, those that do end up with a formal lawsuit do so because of excessive delays. A legal funding can really help out when these cases face undue delays. The delays can be caused by a couple of factors; a lack of clear liability, and the lack of legal clarity because there aren't any clear overarching laws defining liability in animal and dog bite cases with most regulation being at the local level. Some localities do have specific documented regulations, such as the types of dog breeds that residents can own, and leash laws. These laws can be great to help define liability, unfortunately they aren't universal. In addition, with most personal injury accidents, if you are a victim of an animal / dog bite, make sure you document as many of the variables a possible and as soon as possible. The longer you delay, your memory may not be as clear to get the details straight. Take pictures of the area, draw the situational details (what actions occurred that led up to the animal attack), were there any witnesses, was the dog provoked, and if so, how. All these details can make a big difference. Last but not least, if your financial situation has gotten worse while you wait for the dog bite lawsuit to settle, don't hesitate to call TownCenter Partners and ask about a legal funding (aka lawsuit funding, pre-settlement funding). We'll be happy to answer any questions you may have and get your application started ASAP. Remember, it costs you nothing to apply and there is no risk because if you lose your legal claim, you don't pay the legal funding back.